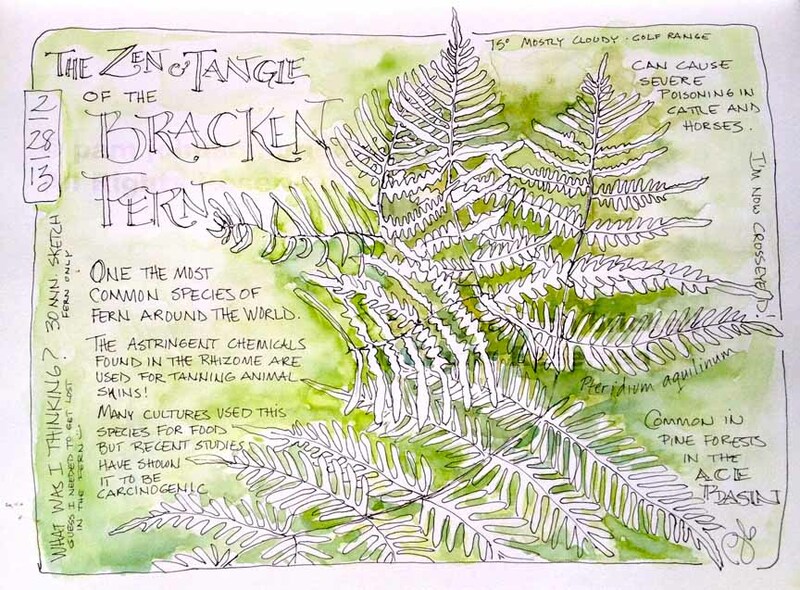 I love ferns, especially in large groupings. Their green coloring is so happy against dark and shaded tree trunks. 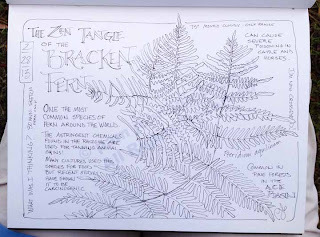 To my eye, the Bracken Fern has a complex structure. Three triangular leaves branch from a stem, creating an overlap of the divided leaf structures. Speaking as one who is dyslexic... viewing them up close can make me dizzy. 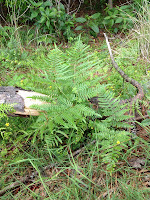 On Sunday, I came upon a fallen branch with a couple of Bracken Ferns growing near it. I was called to sketch it. I hadn't planned on giving the fern so much detail, but once I started, I couldn't stop! 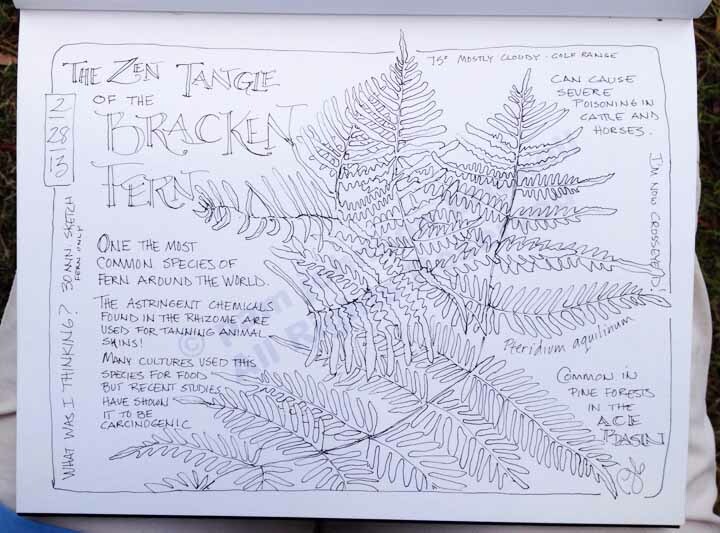 Oh yes, much Zen was involved in sketching this fern. 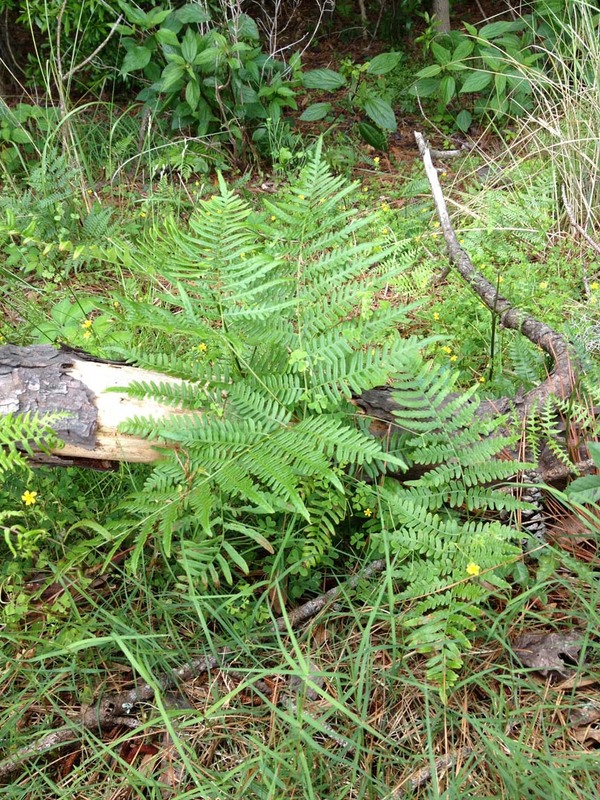 I became the structure of the fern, the lobes, the smooth lines.... All the while my little voice was chipping at me, "What are you thinking by tackling this? What about the branch?" This is one of the many reasons I love keeping an illustrated journal. 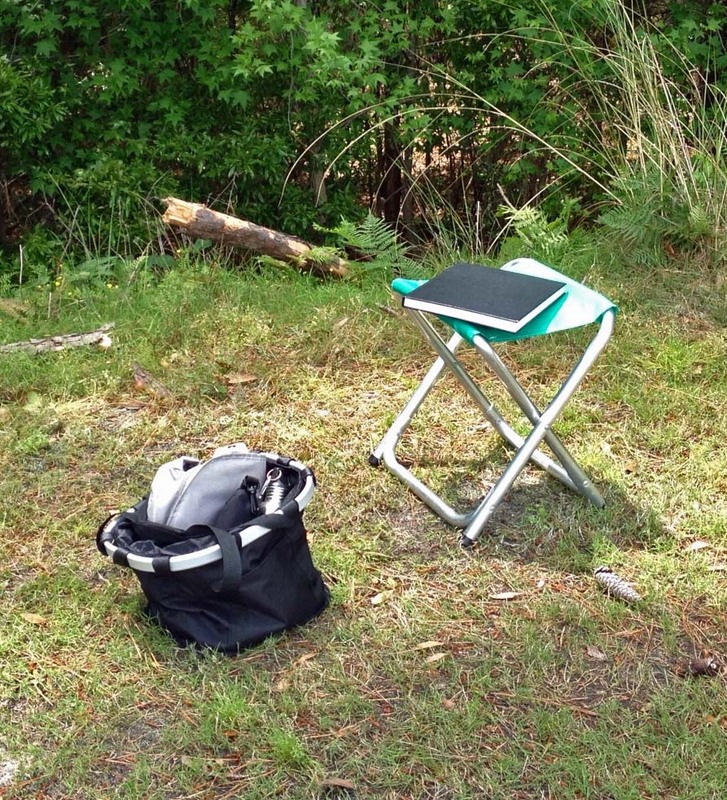 The pages can take on a ife of their own. 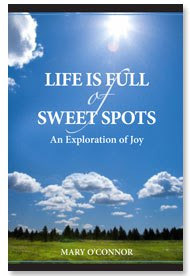 Once begun, I knew I had to get past my fear of the complex and just celebrate what was before me. 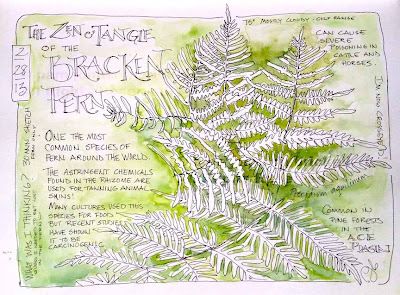 It took 30 minutes to sketch the fern structure. It was then that I named the page. I felt like I had created my first Zen Tangle. Except my 'tangle' wasn't on the paper... it was in my head. I love having the ability to look up information on the internet when in the field. 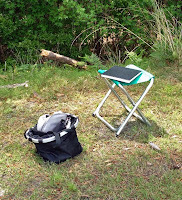 This day, it enabled me to research the fern and and add interesting information to my page on the spot. Oh I love this and I love ferns. Not really sure why but I like their form and the never ending variety in texture, color,freshness. I like that the color you used is in the background. It is interesting how technology has seeped in so many ways into our lives and I would like to think enriched it. Yes, there was a very large rookery at the end of the lake but don't know if it's still functioning. Just before we left NY, a pair of Bald Eagles moved in and put their nest up right in the middle. The first year the GBH's chicks were easy pickings. The next season only a few GBH's showed up to nest. Perhaps the Eagles moved on once the herons didn't come back at all but, I really don't know. I will have to look into it. The eagles presence makes sense. We have had fun watching the Herons in Ithaca both online and in person. Beautiful day here, for a change. Glad to hear the weather's improved. It's been one long winter for you!